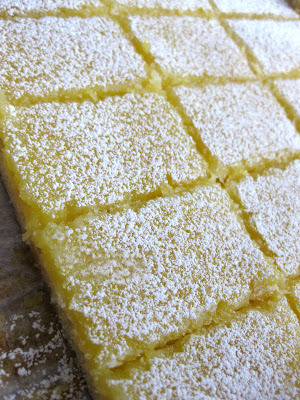 i pulled two recipes for luscious lemon bars, and made them both. the first from epicurious, got amazingly high fork ratings. the second from ina garten, a trusted source for anything buttery. ina's bars on the left, epicurious on the right. ina's bars were thicker and more gooey. 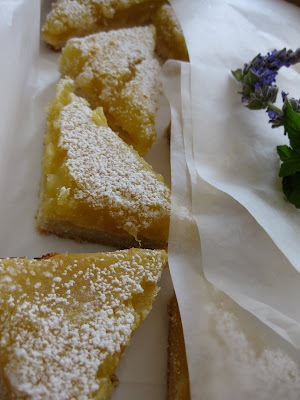 the epicurious bars were dainty and slightly chewy.